Struggling to pay the bills, single mom Naima (Jennifer Hudson) sends her teenage son Langston (Jacob Latimore) to live with his estranged grandparents, Reverend Cornell and Aretha Cobbs (Forest Whitaker and Angela Bassett) in New York City. At first Langston resents their strict household, but with the help of new friends — and a little divine intervention — he embarks on an inspirational journey of self-discovery that brings the whole family together. I absolutely loved the musical movie, Black Nativity. Not only was it well cast with so many great actors and singers, but the story line itself was very touching. My husband and I love musicals, so watching one with lots of familiar faces was a bonus. This movie is heartwarming and will have you in tears and smiling too with a bit of humor in it as well. This is about a young boy sent to live with grandparents he doesn't know while his mom tries to get her life together to make a better life for the both of them. You then realize that the she's sending her son to live with her parents who she know longer speaks to. So during his stay, Langston is not only trying to get to know how grandparents and his new surroundings, but he also wants to know why his mom and grandparents aren't on speaking terms. A great family movie that will touch every one and will have you wanting to sing along too. I definitely recommend watching Black Nativity. Disclosure: All opinions are my own. 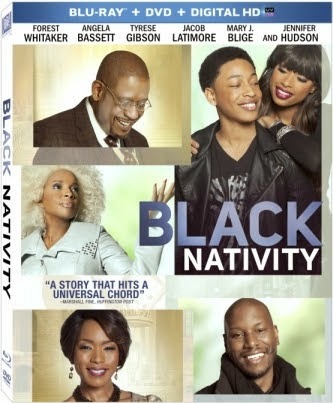 I received Black Nativity on blu-ray/DVD at no cost for the purpose of this review. No other compensation was received.